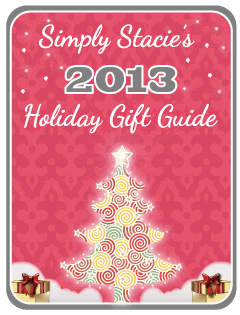 Are you looking for a great gift idea this holiday season? If so, a fashionable scarf makes a wonderful and thoughtful gift. The FRAAS Metallic Scarf is sure to be a hit because it really makes a bold fashion statement with a pretty metallic shine. These quality-made FRAAS scarves will brighten up any outfit and would be very nice for everyday wear, business or special occasions. The FRAAS Metallic Zebra style ladies scarf is available in three lovely colors including black, gold and silver making it the perfect accessory for the holidays and throughout the winter season. I love how it really shimmers because of the use of metallic yarns mixed with acrylic and viscose so it really looks fantastic. This stylish scarf is generously sized at 12 x 80 inches and can therefore be worn in a variety of ways to accessorize your wardrobe. I also appreciate that it is obviously made with high quality materials and yet it is still attractively priced at only $35. Since it is budget friendly, I can pick out a few scarves to give as gifts and get one for myself too. It doesn’t often get very cold in Florida but we recently had a dip that was close to freezing. 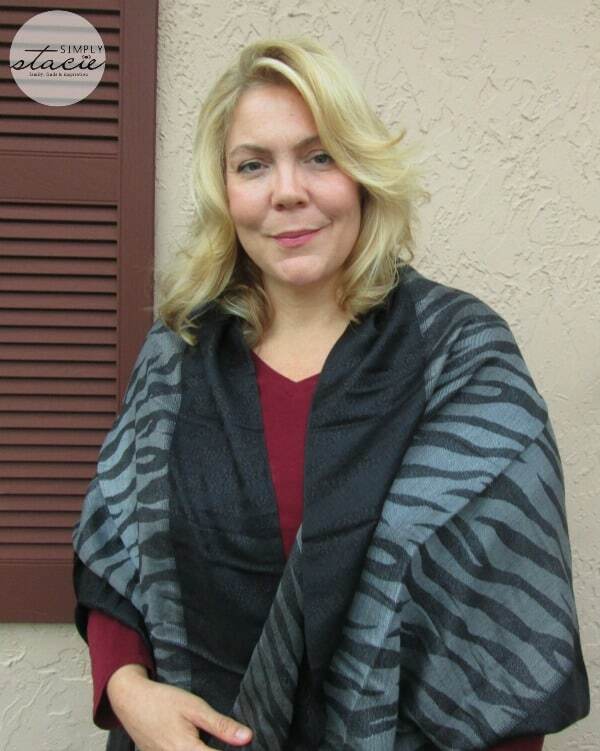 I was thrilled to have the opportunity to wear the FRAAS Metallic Zebra style scarf in the black color combo. It is absolutely beautiful and I received many compliments when wearing it out on the town. We are planning on heading to Disney World for a Christmas visit to the Magic Kingdom and since the temperatures will be brisk in the lower 50’s (F) I plan to pack my pretty FRAAS scarf to wear at the park too. If you are shopping for a gift that will really have that “Wow” factor, then I highly recommend shopping the FRAAS scarf collection. You can purchase FRAAS products worldwide in department and specialty stores as well as online retailers such as Amazon.com. If you would like to purchase the FRAAS Metallic Zebra style scarf you can also order direct from the company by calling 212-575-0191. You are invited to visit fraas.com to purchase select styles and to browse the collection of scarves for men and women. Connect with FRAAS on Facebook and Twitter too! 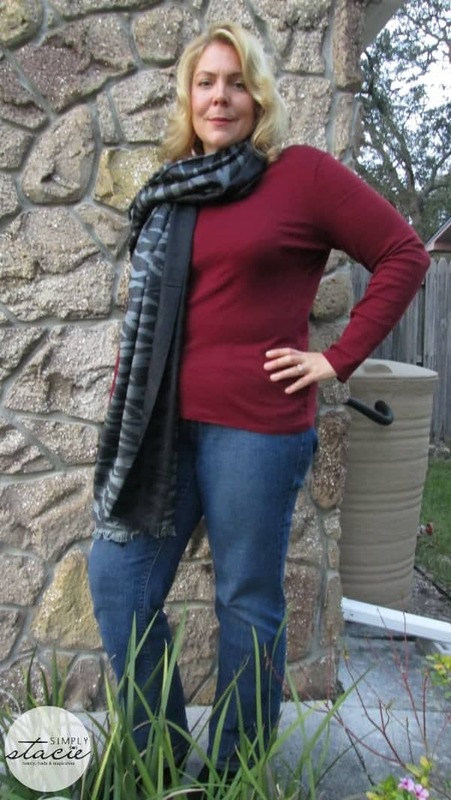 I love scarfs and use them often as an accessory to change the look of an outfit. 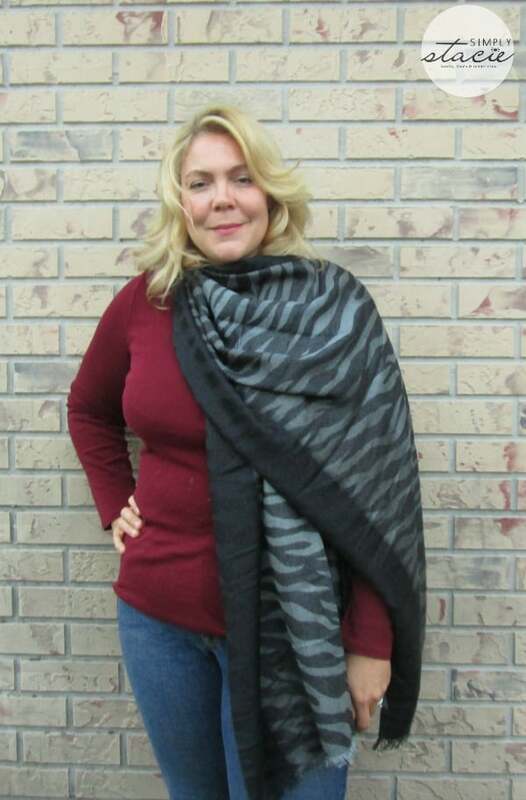 I love the zebra stripes and I like that it is large enough that you can use it as a wrap as well. I bet you can use it as a shrug too if tied in the back. Yes, it is definitely large enough to be worn as a shawl! They have some really beautiful scarves would be a great gift! I love the zebra scarf. Capes and pashmina scarves are so popular now. You have some of the best giveaways.